Now in its fourth generation, the Lexus LS is offered not just with a petrol engine, but petrol-electric hybrid drive too. 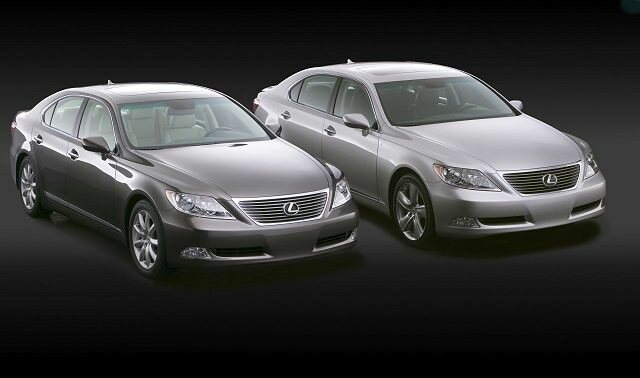 The LS series is the car that introduced the world to the Lexus brand, and the possibility that a large luxury saloon could wear a badge not originating in Europe. It's been a huge worldwide success too, the LS's supreme refinement, luxury and high technology emphasis appealing to many. Now in its fourth generation, the LS is offered not just with a petrol engine, but petrol-electric hybrid drive too. This fourth generation LS first debuted in Europe in 2006 in LS 460 guise, with the LS 600h flagship following shortly after. That LS 460 features a 4.6-litre V8 petrol engine developing 381hp and was offered in both regular and long-wheelbase variants - the longer car adding 12 centimetres to the LS's length to the benefit of interior space - particularly rear legroom. The LS 600h features a 5.0-litre V8 petrol engine, mated to an electric hybrid drive system, its aim to produce V12-like power and performance without V12 economy and emissions. It might be performance orientated, but its hybrid powertrain does allow the LS 600h short periods of electric-only running for near silent operation in busy town traffic. Unlike the LS 460, the 600h has four-wheel drive, though both use automatics transmissions. All come well specified as standard, which is hardly surprising given that the cheapest LS 460 when new is over €120,000 and the LS 600h is just shy of €200,000 if you're the first owner on the logbook. Second-hand they look like conspicuous value, with the petrol cars available from just €15,000 and those hybrid flagships around €10,000 more. The LS got a minor styling and equipment update in 2009, though 2012 saw Lexus undertake a more radical overhaul of its luxury saloon's looks. The rather conservative grille was replaced by a more angular, aggressive looking deign, while the firm added a more sporting version with its F Sport model. The LS 460 is a pleasant enough choice, but if you're going for the LS used you might as well start at the top of the pile and opt for the LS 600h - not least because its CO2 rating is lower than its non-hybrid relation. The Lexus LS is a super-luxurious and indulgent saloon that's a good value used purchase. Loads of equipment as standard and a clever hybrid system on the LS 600h all appeal, but it's rather ordinary looking - aside from the sheer size of it. A canny buy for someone that fancies a luxury saloon, but doesn't want to pay the price of a house for it.